Haworth Art Gallery are holding an Art and Craft Fair on Sunday 2nd September between 12-4pm. There will be wonderful pieces of work for sale and a raffle with some fantastic prizes up for grabs. 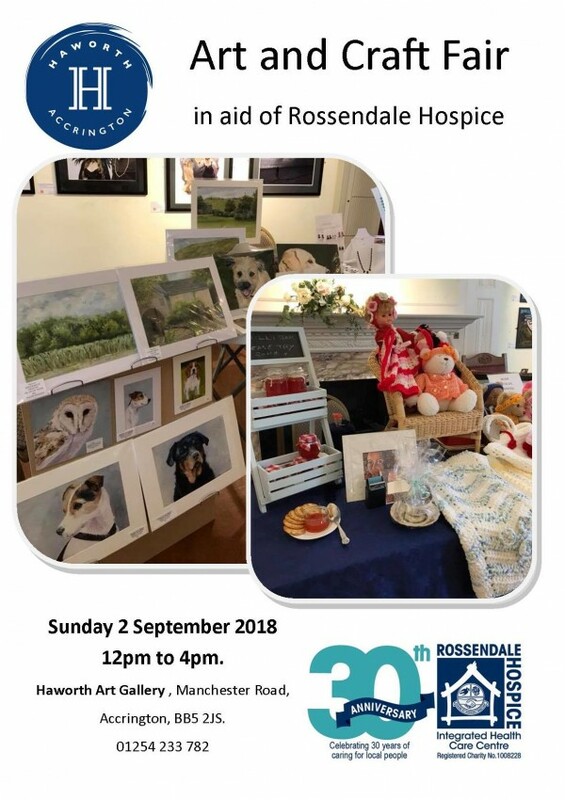 Why not pop along, get yourself some lovely artwork or handmade crafts and support the Hospice.